Connect Everwin CXM to SendinBlue to manage your marketing campaigns and get your stats reports directly in Everwin. 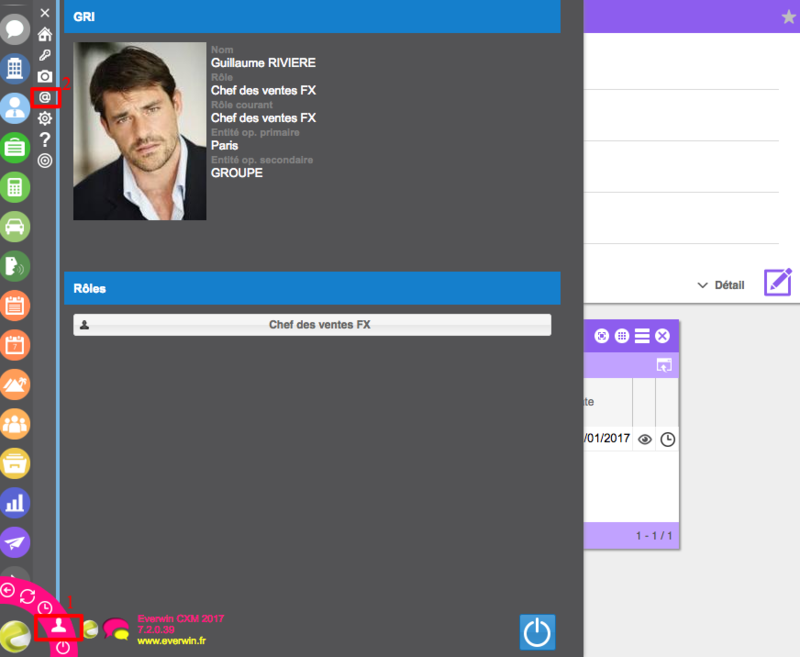 Check that marketing campaign management is activated in your Everwin CXM environment. If not, please contact Everwin. 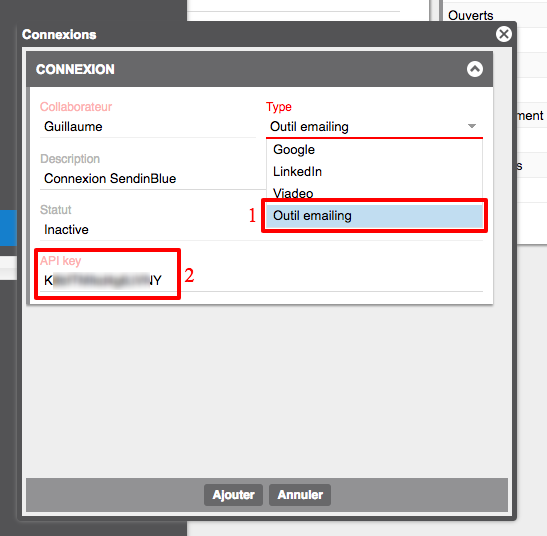 Then select "Outil emailing" (1) and enter the Sendinblue API key (2), which you can find here. 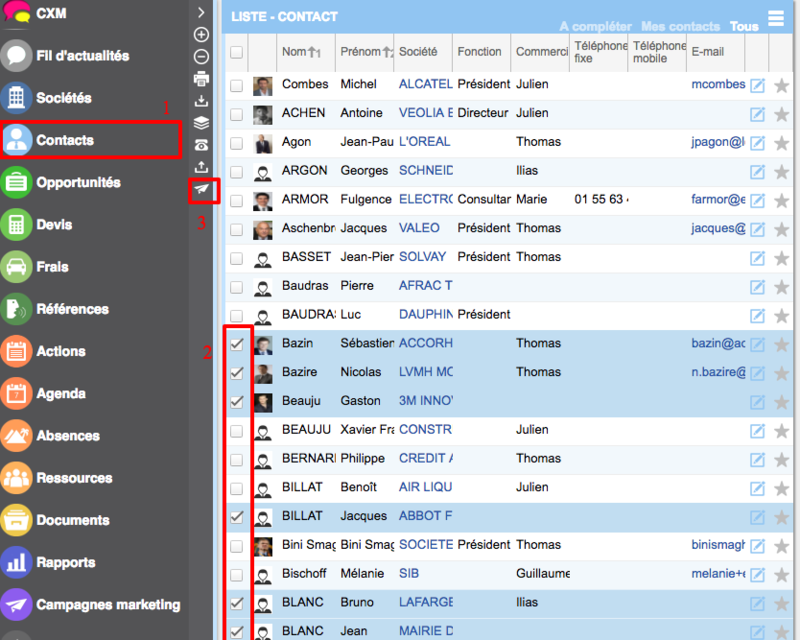 Don't forget to enter a description, and then click on "Ajouter"
Then go back to the connection you created and change the status to "Active"
Select the contacts to whom you would like to send campaigns from the "Contacts" menu (1) by checking the relevant contacts (2). 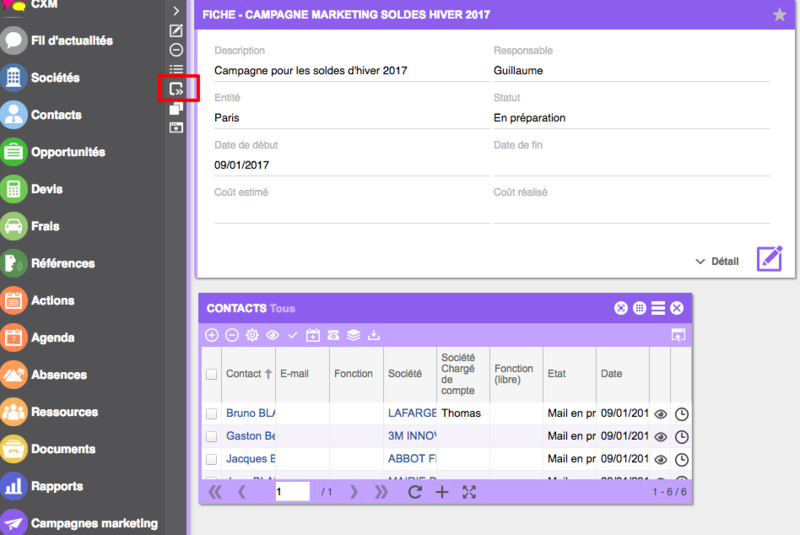 Then click on the "Send a marketing campaign" intermediary menu (3). Create a new campaign. To do this, click on "Ajouter", then, in the create a campaign screen, simply enter the name of the new campaign. 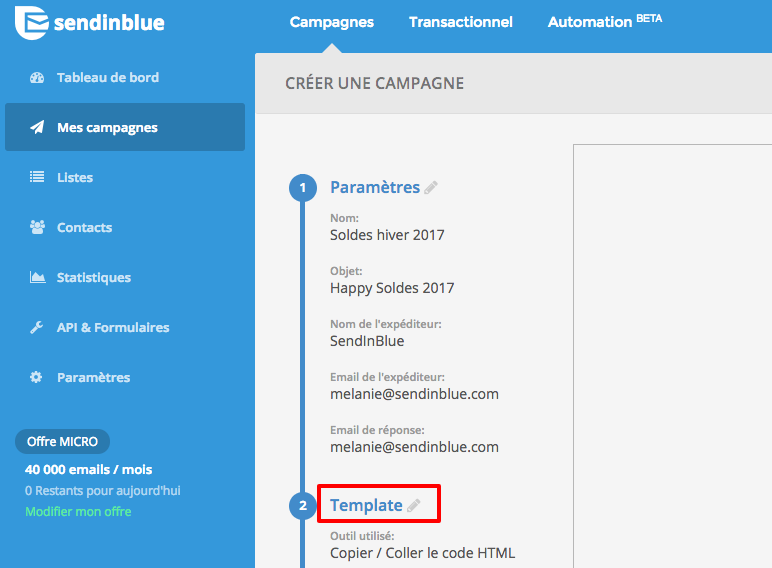 Email de l’expéditeur (consistent with the senders available in your SendinBlue account): this email will be used to send the campaign. Then go to your SendinBlue account and look for the campaign you've just created in “Drafts” (1). Click on Actions > Edit (2). Go back to step 2 to change the contents of your campaign then click on the "Recommencer" button in the top right-hand corner. 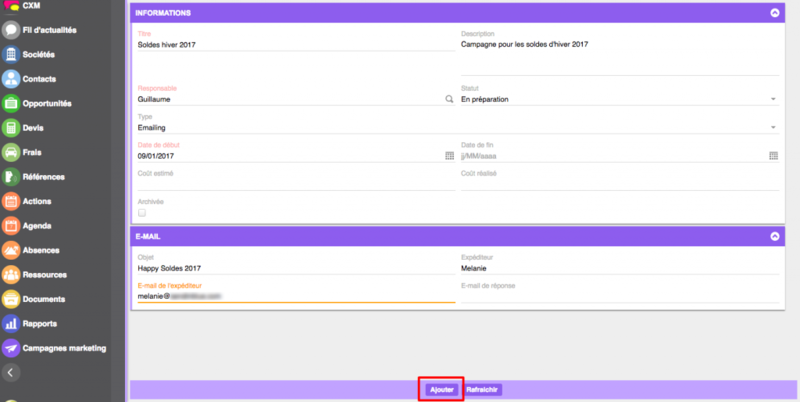 Enter the contents of your campaign by either using the responsive editor or by directly entering the HTML code for your email Send yourself a test email and if it's OK, click on Next to check the recipients. Once you've done this, click on Next again to program or send your campaign straight away. You can also consult the stats directly in Everwin by going to the "Marketing Campaigns" menu>then select the relevant campaign to view the stats. 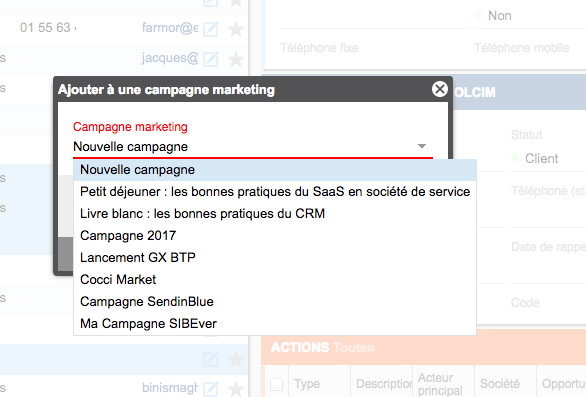 Change the status to "En cours" then click on the "Synchronize campaign with Emailing platform" intermediary menu again. You should then be able to view the statistics for the selected campaign.